Beijing: The first week of the Chinese New Year generated sales to the tune of 1.01 trillion yuan ($147 billion), representing an 8.5 per cent increase year-on-year (YoY), according to figures issued by the Commerce Ministry on Tuesday. The figures take into account spending in shops, restaurants and on travel during the festive season, reports Efe news.Last year, the festive season witnessed a 10.2 per cent (YoY) growth as the volume of consumption touched 926 billion yuan. The festival is marked by many people in large urban centres visiting their homes or on vacations to be with family or friends during the Lunar New Year.This essentially jumps consumption and makes the season profitable for retail sectors. The spending growth during the New Year holiday is generally considered a precursor of spending for the rest of the year. Electronic commerce was once again one of the biggest beneficiaries during festive season, also known as the Spring Festival.E-commerce giant Jingdong (JD) reported a significant jump in sales revenue, which increased 42.7 per cent (YoY) with smartphones, computers and home appliances recording the largest number of sales. China's largest bank card operator by market share, UnionPay, saw its transaction volume reach 1.16 trillion yuan, an increase of 71.4 per cent (YoY).According to the National Bureau of Statistics, consumption contributed towards 76.2 per cent of China's economic growth last year, 18.6 percentage points higher than last year. 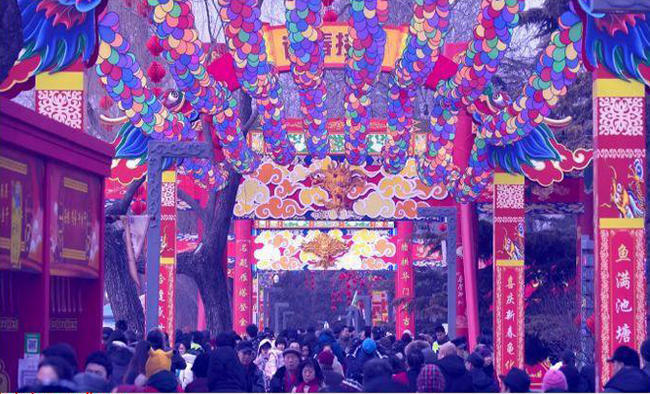 However, the rate of increase in consumption during the first week of the Lunar New Year this time is less than that recorded in the previous nine years, according to the country's economic news portal Caixin.The Chinese economy grew by 6.6 per cent in 2018, which, despite exceeding the 6.5 per cent growth projected by the authorities in Beijing, was the worst recorded since 1990.